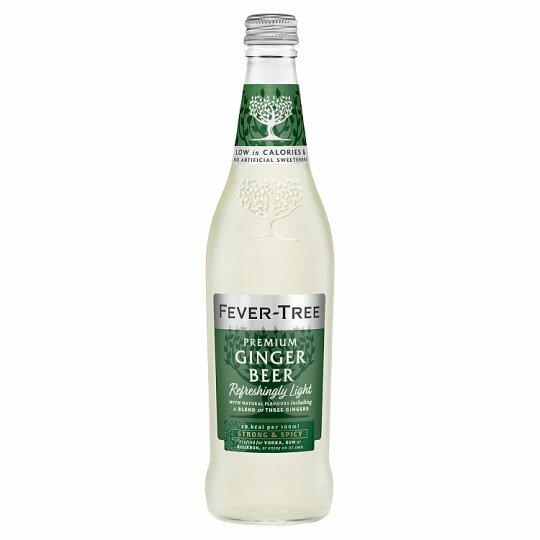 Using fruit sugars, we have developed this delicious reduced calorie Ginger Beer. A brewed product that contains a unique blend of the finest gingers, subtle botanical flavours and spring water. Not too sweet on the palate, it has the long tasting ginger character of our Premium Ginger Beer but with 48% fewer calories. Do not store in direct sunlight., Keep refrigerated after opening and consume within three days. WARNING: CONTENTS UNDER PRESSURE. OPEN AND HANDLE WITH CARE. PRODUCT MAY SEPARATE NATURALLY. GENTLY INVERT BEFORE SERVING.